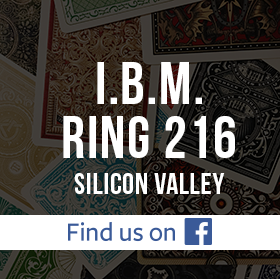 Ring 216 is committed to sharing great magic experiences with you, our members. And for the first time ever, we want to thank you for being part of our community by providing a magic lecture FREE OF CHARGE to our members. 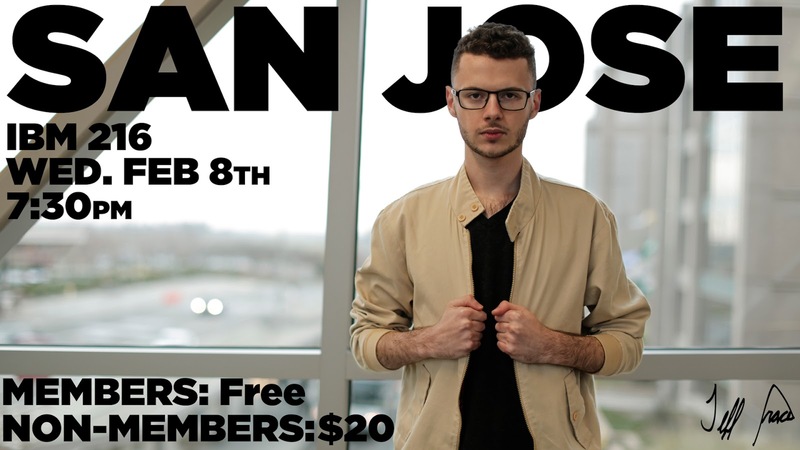 So mark your calendars for Wednesday, February 8, at 7:30 p.m., and join us for an evening of creative, unique magic from Jeff Prace. All members of Ring 216 who have renewed their membership for 2017 will get to enjoy the lecture at no cost. And if you haven't renewed, you can do so at the meeting! 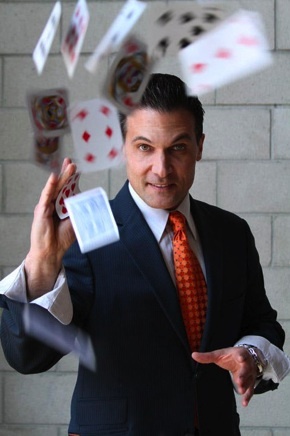 After working with Paul Harris Presents, Dan&Dave, The Blue Crown, Penguin Magic, Murphy’s Magic Supplies, Kozmo Magic, Wizard FX Productions, and TRCKY, and being published in Genii, MAGIC, Reel Magic, Antinomy, Magicseen, Vanish, and The Linking Ring, Jeff Prace is coming to San Jose! Known to be one of magic’s most forward young thinkers, Jeff Prace has become recognized in the community for his unique, offbeat style of magic. At only 22 years old, he’s consulted for top TV magicians in Las Vegas, performed live on NBC’s TODAY show alongside David Copperfield, and writes a regular column for Genii, the largest-selling magazine for magicians. Jeff will discuss his best-selling marketed products, including Gum, Keylicious, Fuze, The Silencer, Voices, and some new, soon-to-be-released items! All the while, Jeff will demonstrate how to be more creative in your own magic. Get ready for an action packed, informative lecture that features magic with everyday objects. As mentioned above, this lecture is a gift from Ring 216 to all our members as a thank you for your dedication to the club. That means all members who have paid their dues for 2017 can enjoy this lecture at no cost. If you haven't joined up, this will be the perfect time to sign up for 2017 membership in Ring 216. This will get you discounted prices on all lectures and workshops for 2017 and more perks. The cost for annual membership is just $25, which covers the cost of our meeting space, insurance, and other expenses. All of Tony Clark’s magic incorporates principles of Timing and Misdirection learned during his formative years studying with the legendary Slydini. Tony was one of his last students. His new lecture features many brand new, never before revealed effects and routines and is a mix of close- up, stand-up and stage effects. These are the valued repertoire (plus the story and inspiration behind them) that Tony has wowed the world with over his 20+ years of professional magic. Visible and powerful, yet easy to learn magic effects that you’ll actually want to practice and use! At the workshop, Tony will share details of his handling of Slydini's Paper Balls over Head and Slydini's Silks. As a student of Slydini, Tony knows how to make both true crowd pleasers. Tony will make available a set of silks at wholesale price (40% off) — just $15. Insane deals and discounts on his entire product line! No need to sign up for the lecture. Just show up! Since this is the first meeting of the year, it will be the perfect time to sign up for annual membership in Ring 216. This will get you discounted prices on all lectures and workshops for 2017, plus an upcoming free lecture, and more perks. The cost is just $25.